Tayasui Sketches Pro 3.6 – Versatile and user-friendly sketching drawing tool. Tayasui Sketches is a versatile and user-friendly sketching app. Next story Swinsian 2.1.2 – Music manager and player. Previous story iMazing 2.5.4 (8418) – Complete iOS device manager (was DiskAid). Corel Painter 18.0.0 – Digital art software featuring realistic painting effects. 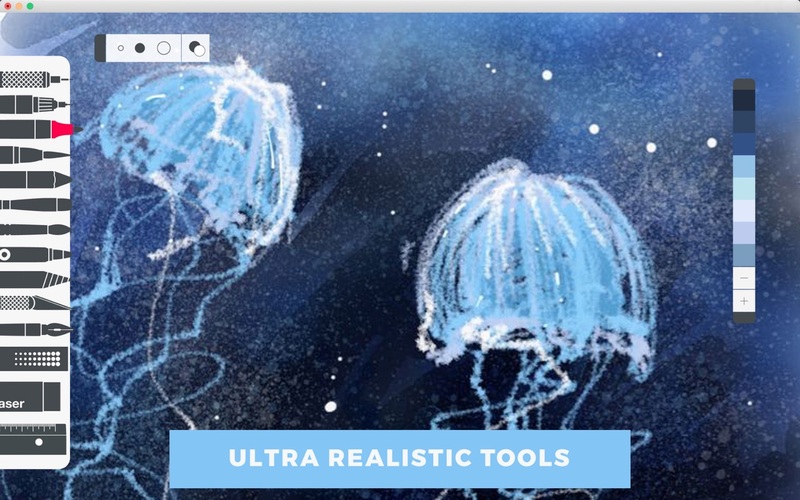 Pastello 1.0.4 – Transform photos into a drawing fine art with pastel, pencil, chalk, charcoal and crayon.